If your printer is connected to your computer, whether locally or on the network, you may need to open the print queue. For example, to delete print jobs or stopp. Printer queue or print pooling are most commonly used to print documents formatted for printing, and these are queued at the computer and then processed, at times, at the speed of the printer . Because multiple programs, or computers, can print documents, they can write to the print queue without waiting, and then continue to work as normal as the print jobs pass through the printer queue to the printer in the background. The default Windows operating system settings display the print job icon next to the clock in the taskbar when the documents are sent for printing. However, there are situations where printing of documents waiting to be dropped is required. In this case, the Windows system offers special functions. 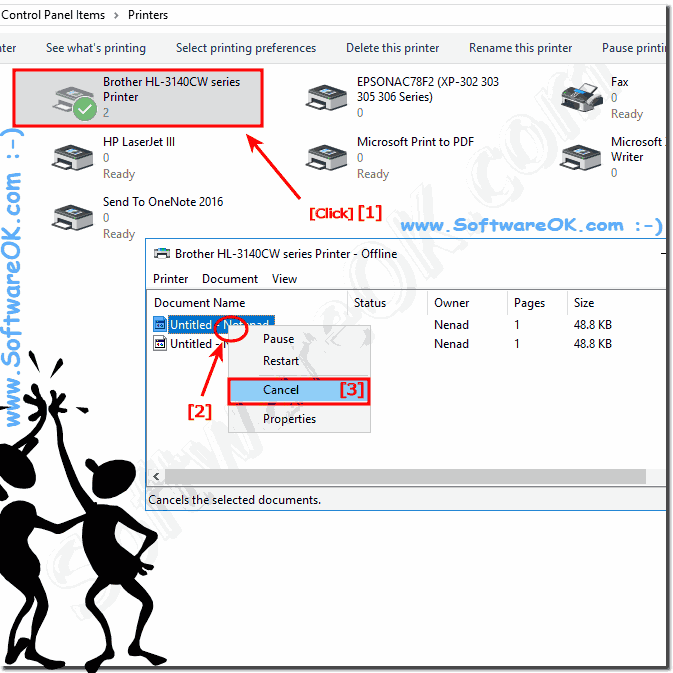 ► All print jobs in Windows 10 cancel via the print service! (Image-1) Printer queue on Windows 10! In the print job window, you can pause or cancel printing a specific document from the list. To do this, right-click on it and select the corresponding command from the drop-down list. The Cancel or Pause command applies only to the selected documents. The remaining tasks from the list will continue to run. If the standard commands were not helpful when deleting the print queue! Use the following system functions: ► Cancel all print jobs via the print service! Glossar - FAQ-43: What is it Printer queue?